Emotions run high, and life becomes more complicated, when a child is admitted to the hospital. Pediatric patients are often fearful, parents struggle with anxiety and fatigue, siblings at home must be cared for and households need to be managed. Helen Clemens is a mom who knows the scenario all too well. Her six-year-old daughter, Gretchen, has been hospitalized numerous times during her young life. In the past, those admissions required pediatric care at hospitals far from home. 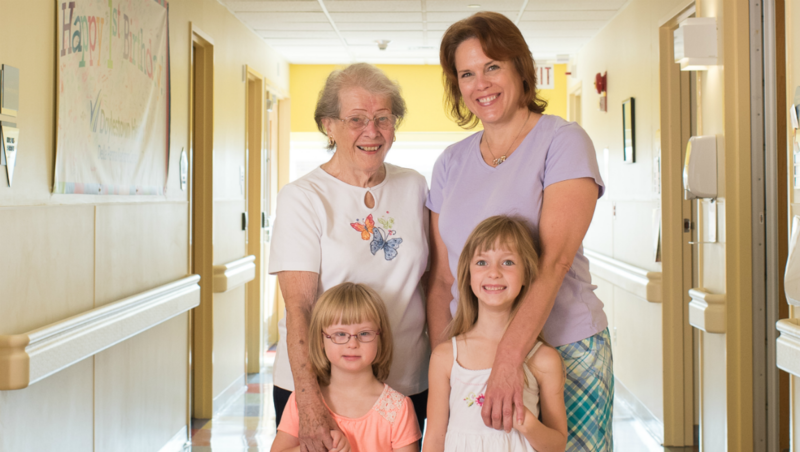 Today, Helen and her family can access the care they need locally, at the recently established Doylestown Health Carol and Louis Della Penna Pediatric Center. When it comes to caring for a child, specialized care is essential. At the Della Penna Pediatric Center, care is delivered by a highly qualified pediatrics team of board-certified pediatricians, skilled nurses and clinical staff. Also on site are nutritionists, physical and occupational therapists, social workers and case managers. As part of Doylestown Health, the pediatric center has immediate access to advanced imaging and diagnostic services, and surgical options. Doylestown Health’s Pediatric Services have also expanded beyond the hospital setting and into the community, and include health and wellness education, nutrition services and more. Doylestown Health has partnered with local school districts, youth organizations and educational foundations to host community programs, classes, events and screenings as part of its mission to proactively advocate for the health of the youngest members of our community. These programs have reached more than 1,400 kids and parents annually. Doylestown Health’s vision of an inpatient pediatric unit was made possible thanks to the many individuals, local businesses, corporations and foundations who contributed to the Pediatric Campaign. Since 2014, over $1.7 million has been donated to support the Della Penna Pediatric Center and launch community-wide pediatric education and outreach programs. Charitable investments from community and business leaders have helped the Della Penna Pediatric Center grow into the robust program that it is today. Contributions have supported construction costs, significant equipment upgrades and outreach expenditures – all aimed at keeping the children of our community safe and healthy. Donations to the Della Penna Pediatric Center significantly impact the sustainability and future success of the programs and services offered to our most vulnerable patients. Make a contribution online or contact the Doylestown Health Foundation at 215-345-2802. Doylestown Health is committed to providing family-centered children’s services to the community. The Carol and Louis Della Penna Pediatric Center offers expert inpatient care to all ages including infants, children and teens. Della Penna Pediatric Center Services extend beyond the hospital setting to include health and wellness education, nutrition services and other support services within the community.